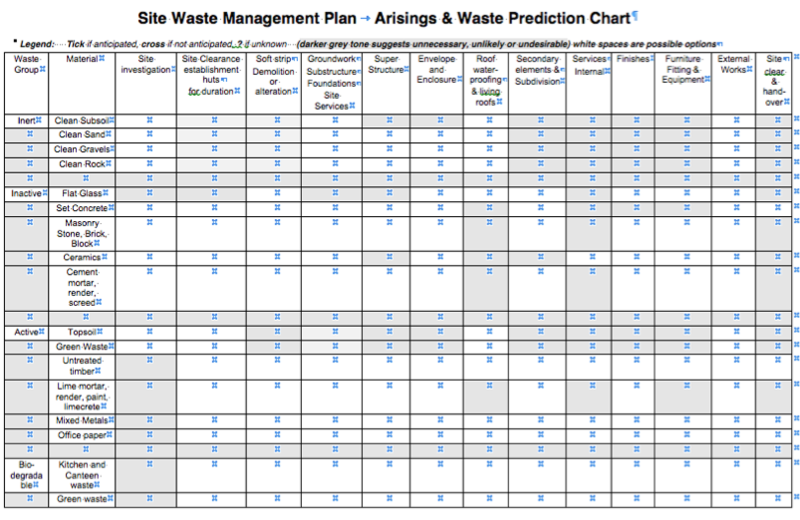 Site Waste Management Plans (SWMP) have become part of normal practice because it make financial sense to do so, this is very true on larger projects, but the smaller sites still don’t understand the advantages to be had. 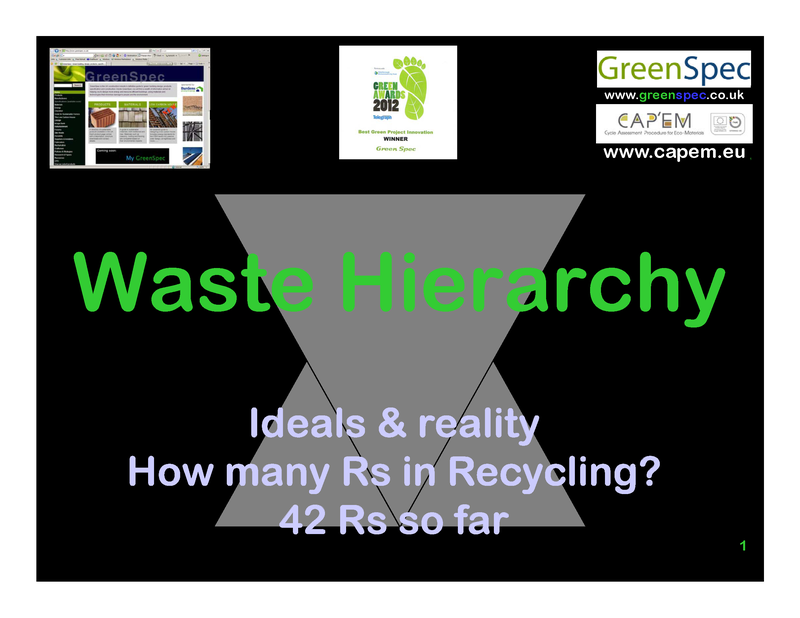 GBE work with the manufacturer to understand the nature of the materials in products, establish which waste category they belong in and determine the normal, better and best practices for ‘excess to requirements’, off cuts and other waste and packaging. 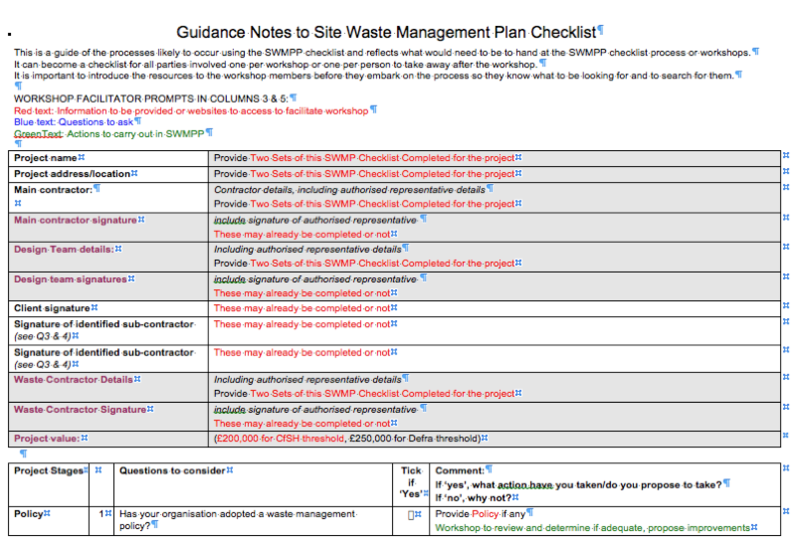 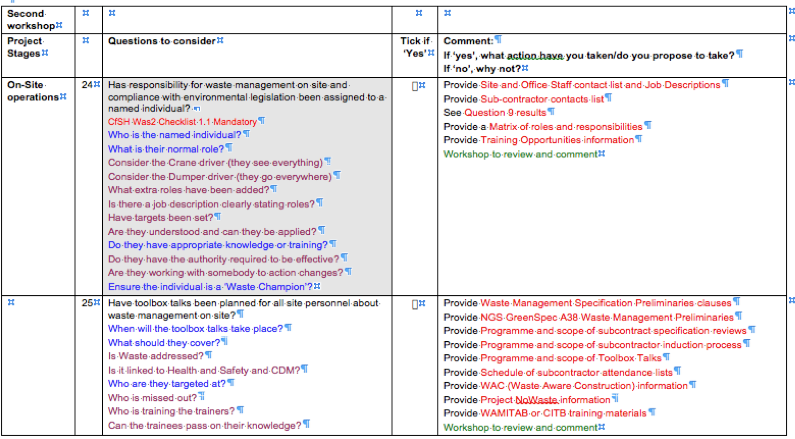 Using the standard format SWMP Checklist developed by Constructing Excellence (CE) and adoped for the DTI SWMP Voluntary Code of Practice in 2004, the relevent cells are pin-pointed and populated with the determined information. 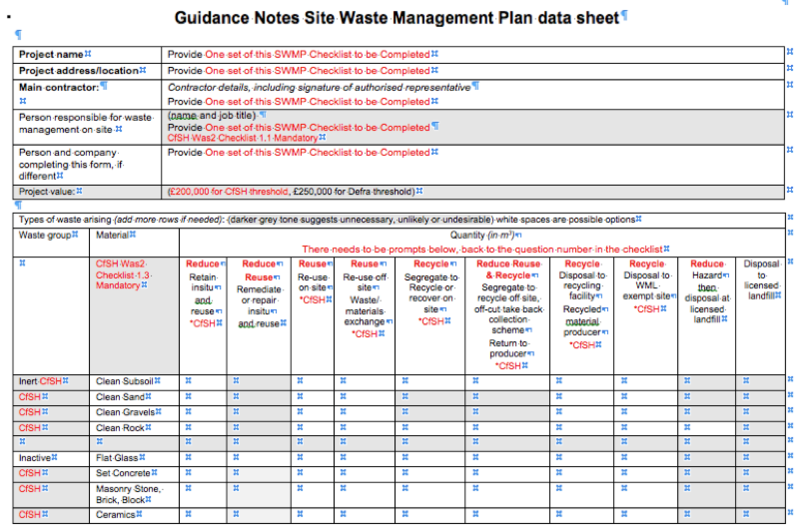 This SWMP entries information can be used as part of Product Literature, or developed as Project Information, to become part of PQQs, Tenders, Contracts, etc. 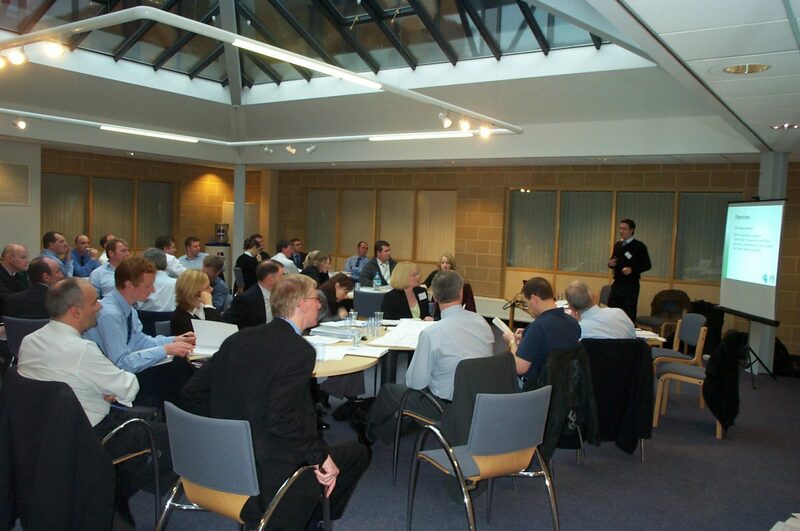 This information can also become part of the End of Life Scenario and Product Passports. 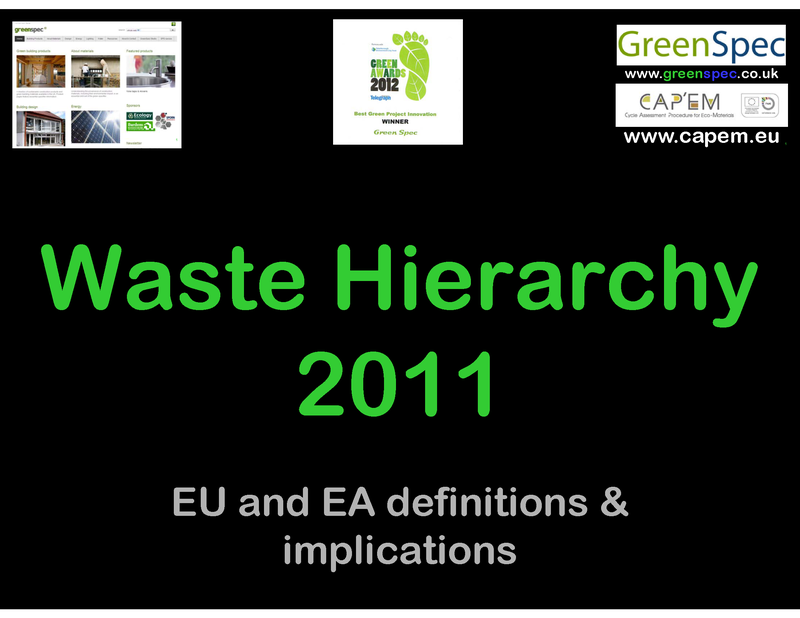 European Commission’s Roadmap to a resource-efficient Europe.